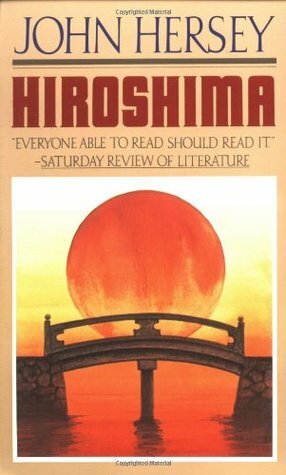 Also a choice inspired by anniversaries (see my post on Marilyn Monroe’s My Story) John Hersey’s Hiroshima is a book I have been interested in for a while and finally got to this month. One of my favorite books I read in high school was Erich Maria Remarque’s All Quiet on the Western Front and since then I’ve had an interest in learning about our wars. More than the political strategy necessarily (although that is fascinating as well), I am intrigued by the profoundly intimate effects on citizens and soldiers. Hersey’s calm, sober account of six survivors of the atomic bombing of Hiroshima, Japan on August 6, 1945 is equal parts sad, gruesome, and gripping. Staying largely away from the political aspects of the event, Hersey begins with what each of his six subjects were doing immediately before the bomb’s detonation. He spends most of the following chapters on the hours, days, and months following August 6, and finishing with a chapter written forty years later as a follow-up, titled “The Aftermath.” I was captivated by the descriptions of radiation sickness onset in the victims and its enduring symptoms. The stoicism and heroism of the Japanese people in the moments and hours after the explosion were compelling and inspiring. I enjoyed the book, but I wasn’t quite as emotionally affected as I expected. That may be the result of Hersey’s journalistic writing approach. Despite this, Hersey does convey the horrific physical devastation of the bomb, and its decades-long health and psychological effects. I wonder what readers of the New Yorker must have thought, seeing the original publication a year after the bombing. It is amazing and shocking what the human race is capable of—on one hand obliterating a city, forever destroying fellow humans’ lives, and on the other, doing all you can to help another regardless of your own misfortune, showing humanity and compassion, and ultimately acceptance. Hiroshima is a brief yet powerful narrative worth reading. Read from August 23 to 26, 2012. This entry was posted in books and tagged health, history, military, non-fiction, war by kristin @ my little heart melodies. Bookmark the permalink.